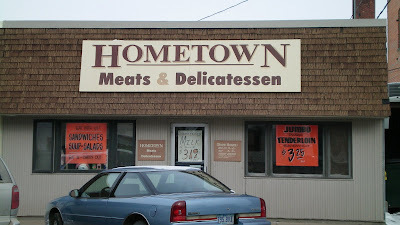 A trip through the midget car racing capital of the world took me past Hometown Meats and Deli. 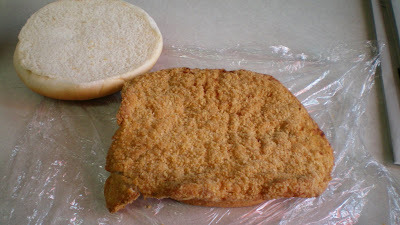 Its blaring window sign meant I could not miss this tenderloin. Location: 111 E. Robinson, Knoxville. about 40 minutes southwest of Des Moines. Directions: Its just half a block off the square from the southwest. 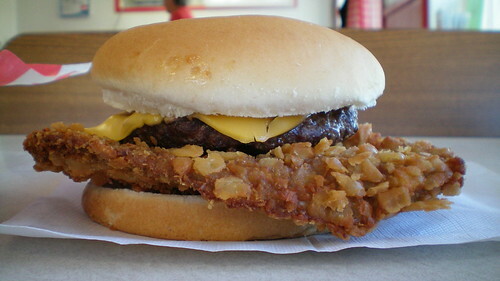 Also on the menu: Deli style sandwiches, beefburgers, tacos, and other fried stuff. There is a full meat selection as well. Service: A handful of people shuffle around behind the meat counter. 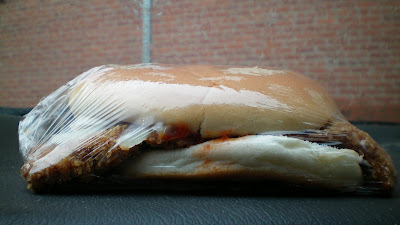 You have to tell them what you want on top of your sandwich, there is no fixings bar. Ambiance: There is the meat counter area and a separate dining area in front. There were stacks of inventory boxes holding soda cans inside right in the middle of this area when I was here. Many locals were in and out, nearly all were getting the tenderloin. Final Thoughts: This was just an okay second choice after I found that the Main St. Cafe had changed ownership and no longer served a tenderloin. The big sign on the window made it easy to find. 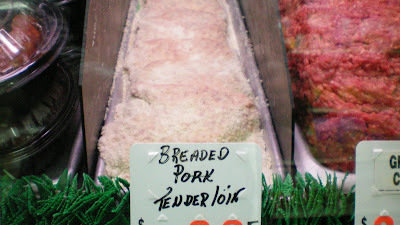 This isn't the best heat-lamp style tenderloin, nor is it the best butcher shop variety. 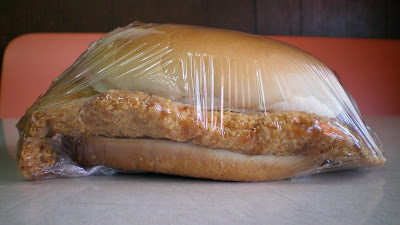 Hi - me and another reporter from Juice magazine in Des Moines are working on a story about tenderloins. You seem like a really good source of information. If you're interested in helping us decide what to feature, please email me - cara@dmjuice.com. F.Y.I. Hometown does not have "heat lamps" to keep there stuff warm. They make everything right as you go in there unless you go in there between 11:30 & 1:30 which is the busy lunch time, at that time they make a few tenderloins at a time and make sure they go out right away, which they always do because everyone knows that hometown has the best tenderloins in town. Get your facts straight before you right a review. Well, I'm sorry you feel that way. But I know for a fact that on Fridays that their buns aren't under there long and if it really bugs you and you want a fresh bun you can ask for one. But then again, they are fesh because buns don't last long there. 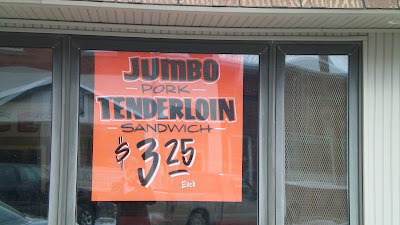 I love their tenderloins. And you don't know much about tenderloins, or your meats for that fact. The guy who cutes that meat and gets the meat gets only the best and is the best. And you may know tenderloin's, but you don't know racing, midget's indeed. It's Sprint Cars!